House some 200 meters from the beach, in a residential area of ​​a typical Spanish village. It is located in a quiet, wooded park. Each in space while being together. 1 bedroom has a solarium of 10 m2 with table and sunbathing, not overlooked. Each room has large closets. The whole house has just been repainted in white with blue window frames Catalan. Floor you have sea grass. A closed kitchen consisting of a refrigerator, freezer and an extra freezer, washing machine dishes and all necessary kitchen. In the basement you have a space machine washing machine, dryer. Two additional outer space: wide terrace with a tent extends the living area and courtyard to enjoy the outdoors in the shade of a pine tree. Wifi - DVD - CD - pregnant - 2 big screen TV. Private parking space in the basement. You can practically live without using the car during the stay. Everything can be done on foot. Casa a algunos 200 metros de la playa, en una zona residencial of a pueblo típico español. If encuentra in a park arbolado tranquilo y. 1 habitación con las camas encajadas (x3). Cada uno tiene su espacio quedando juntos. 1 habitación dispone of a solarium of 10 m2 con mesa y tomar el sol. 1 habitación dispone of a balcón. Cada habitación dispone of armarios vastos. Toda la casa acaba de ser repintada en blanco con los marcos de puerta azul catalán. Una cocina cerrada dispone of a frigorífico, a así como a congelador congelador of complemento, maquina lavar has the vajilla y todo neceser de cocina. Debajo tiene un espacio has maquina lavar y la ropa secadora. Dos Espacia exteriores suplementarios: Terraza de una tienda ancha equipado exten el salón y patios para aprovechar del exterior al amparo of a pino. Wifi - lector DVD - CD - Recintos - 2 TV gran pantalla. Plaza de estacionamiento privativo subterráneo. 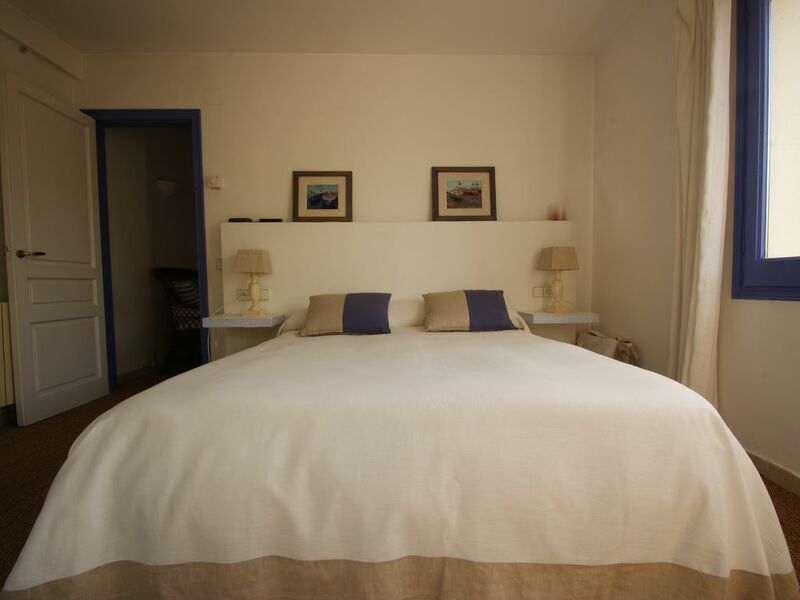 the house is at 600 foot from the beach, in a residential area of ​​a typical Spanish village. It is located in a quiet, wooded park. Each Being together while in space. 1 bedroom: has a solarium of 10 m2 with table and sunbathing, not Overlooked. Each room has wide closets. The whole house just HAS-been repainted in white with blue window frames Catalan. On the floor you-have sea grass. A closed kitchen consistant of a refrigerator, freezer and an extra freezer, washing machine and all dishes Necessary kitchen. In the basement you-have a space Machine washing machine, dryer. Private car parking space in the basement. The house is not available from October 28th until November 4th 2017. Dotted with coves, this former fishing village is set on a rocky coastline north of the natural site Castell - Cap Roig, ideal for walks or bike rides, and southern coastal and tourist village of Llafranc.